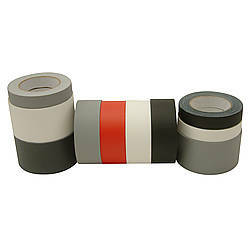 Our converter is no longer stocking the NAT 616 or Pocono GT-226 clear adhesive gaffers tape products and only limited inventory now remains. Pocono GT-226 Clear Adhesive Gaffers Tape is a vinyl-coated black gaffers tape featuring a cloth fabric coated with a removable Hot Melt Pressure Sensitive Adhesive (HMPSA). 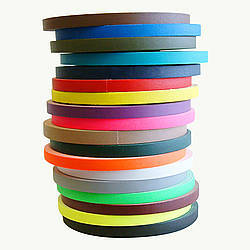 This means that it offers excellent adhesion (60 ounces per inch) with clean removal. 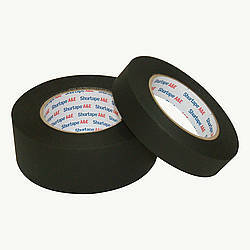 Unlike the adhesion on most gaffers tape, this type of adhesion is clear, so it doesn't have the same white lines and edges as standard gaff tape. 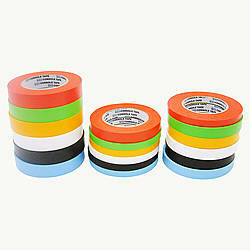 This makes Pocono GT-226 perfect for when you need nondescript gaffers tape for photography, sealing, bundling of wires and other common gaffers tape applications. 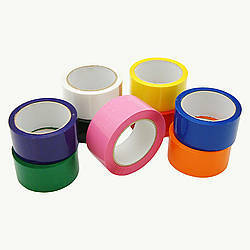 This high-quality Clear Adhesive Gaffers Tape by Pocono is very flexible, so it's easy to conform to odd-shaped surfaces and items, and offers a smooth unwind for fast and simple application. Additionally, Pocono GT-226 is easy to tear by hand. 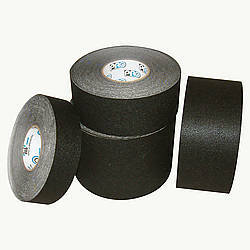 FindTape is happy to sell this all-black gaffers tape by the roll or case. 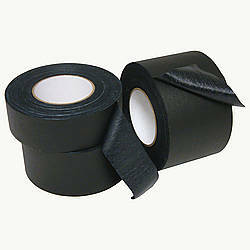 Adhesive: rubber (clear) How are adhesives different?